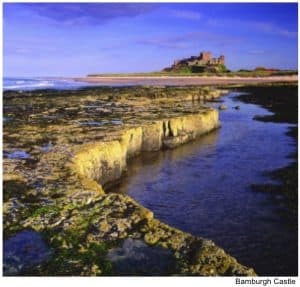 How would I describe the coastal stretch from Amble in the South to Berwick upon Tweed in the North – ‘Probably one of the most breathtaking and scenic places on earth’. It’s a truly unique place and having lived in the area for the last 30 years I can honestly say that anyone visiting and feeling tired and stressed will within a matter of hours feels total calm and relaxation. My favourite source of pleasure in this Area of Outstanding Natural Beauty is watching the glorious sunrises and sunsets and it’s even better if you are on one of the many magnificent Northumberland’s golden sandy beaches almost all of which are totally uncrowded – in fact sometimes you may see one or two people. Aside from the beaches, there is plenty to do and see in Northumberland. The area is great for breathtaking walks whatever the season. What is better than walking on the Bamburgh beach with a backdrop of the famous Bamburgh Castle? Or through the wild and rugged Cheviot Hills, Northumberland National Park? Or simply through quintessential English villages sampling the locally caught fish and chips or great pub lunches. An excellent coffee stop is a recently converted Barn at Beal where you can enjoy fresh local food and drink with a beautiful vista in front of you of Holy Island through to the Farne Islands. The contemporary Alnwick gardens is a huge hit with the children with it’s run through fountains, centrepiece grand cascade and sit on tractors. It’s beautiful Rose, Ornamental and Poison gardens make the visit both an education and pleasure. You can either pack a picnic or eat in the restaurant which is actually in its very own Treehouse! A nice attraction for young and old alike is the wonderful Heatherslaw Light Railway with their 15” gauge steam engines taking you from Heatherslaw to Etal village – a return trip of 6.4km made in only 50 minutes. 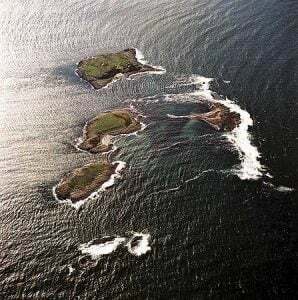 There are also Boat Trips to the Farne Islands – a rocky collection of Islands located offshore between Bamburgh and Seahouses visited on one of several seagoing motor vessels. This is the most famous seabird sanctuary in the British Isles and home to many thousands of puffins, kittiwakes, auks, gannets, razorbills, cormorants and arctic terns. One of the best ways to appreciate the fabulous landscapes of Northumberland is on 2 wheels – the kind you pedal yourself. Cycling along country lanes, taking in woodlands, heather-clad moors and fields of sheep and cattle remind you of the rich heritage Northumberland has to offer. In fact, the list is endless – The best thing to do is to come and see for yourself! And when you do come and visit our beautiful area, you might want to consider staying at one of our Lindisfarne and Budle Bay Holiday Cottages. We have four beautifully restored and converted farm buildings in Honey Hill Farm at Beal, close to the historic island of Lindisfarne. Sleeping either 6 or 8 guests in three or four bedrooms, every one of these luxurious properties has a large enclosed garden which not only fully showcases the stunning scenery of the area but also offers a perfect spot for outside dining (whilst the children can play in safety). 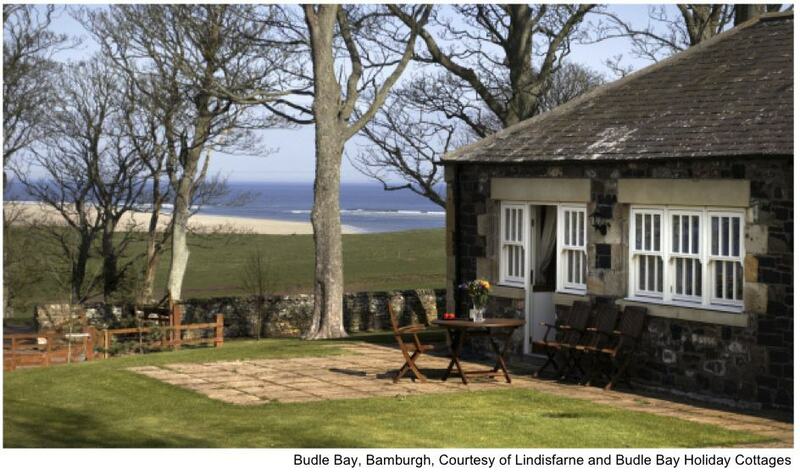 We also have one more property slightly further down the coast – at Budle Bay, Bamburgh, which enjoys spectacular coastal views. Island View is a large single storey dwelling which comfortably accommodates up to six guests in its three bedrooms. Being only a 300-metre walk to the beach, it is a very popular cottage with families. Each of the five properties has had a lot of thought applied to ensure you feel like you are staying at a home from home. Perfectly equipped with every modern convenience and tastefully decorated, these centrally heated holiday cottages are perfect for a break at any time of year. And if you don’t feel like going out, large flat screen televisions, DVD players and CD players provide great indoor entertainment. Whichever one of the glorious Lindisfarne Cottages you choose for your break you can be sure that they will capture your heart and have you returning time and time again. And if I’m around, I’ll be more than happy to provide you with more local knowledge so you can fully explore our coastal paradise in Northumberland. Next Next post: How to Find Your Holidays in 2012?